Inaurguably, eCommerce has got a bright future. The number of digital shoppers and the worth of e-Commerce are all set to grow with time. Despite all, when it comes to shopping online, the attention of consumers mostly stay confined to Amazon, Best Buy, Apple Store, Windows Store, and so on. Are these entrepreneurs immune to the brand rivalry? Or are the emerging eCommerce brands not that concerned about customer satisfaction or customer loyalty? Well, every year, hundreds and thousands of businesses exercise their luck in the eCommerce space, but not all of them are able to survive the heat of competition. So what are the obstacles? What challenges pull the entrepreneurs back? Here is a roundup of 7 such reasons that derail or might derail an eCommerce endeavor. Since, we are into eCommerce development space, so we have focused on technology design and developmental issues. If you operate an eCommerce business, or are planning to venture with one, take out a few moments from your busy life to learn about the eCommerce pitfalls. 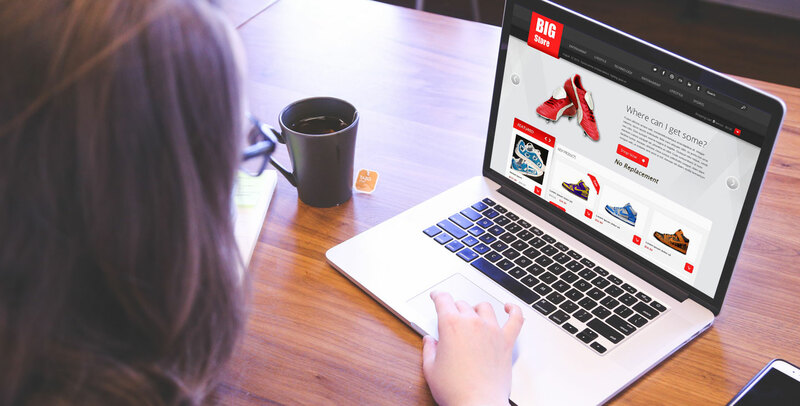 A poor web user experience is detrimental to the performance of any online retail business. User experience is an evolutionary term in itself because the definition of a user-friendly website varies from Generation X to Generation Y to Generation Z. A user experience rated by Generation X as the best can be considered as substandard by Generation Y, and, might be pathetic by a Generation Z shopper. An eCommerce website with a loading time of 20-30 seconds was considered good when we were relying on a 3G to the 4G network. Shockingly, the same loading speed irritates today’s shoppers. A speed that loads beyond 6 to 8 seconds is totally unacceptable. How to optimize the user experience? Ask your eCommerce application development company to pursue all and everything that enables users to shop and pay in a quick and easy manner. Customers should be able to navigate to the products or services offered effortlessly over any device. Whether it’s finding the information, making a purchase, tracking the delivery status, or seeking a refund, all should be effortless. Social media is one of the key disruptors in the eCommerce space. Consumers tend to share products or services they like with their friends and family. They are quick to voice their experience regarding any purchase or brand. Interestingly, recommendations or criticisms by existing customers can make or mar your brand. Taking social media integration not so seriously is likely to cost you in terms of poor customer acquisition. Though eCommerce development companies know the social worth and facilitate their apps with with Facebook, Twitter, Pinterest and Google+ plugins, a little attention is required on the execution front. The social synchronization should work seamlessly on the targeted Android or iOS devices. If your eCommerce website and mobile application fail to deliver consistency, you are likely to see a drop in number of customers or so-called shopping cart abandonment. eCommerce and mCommerce must complement each other. The customer journey must go uninterrupted from one device to another. A customer might browse and compare products on a desktop, then add the product to his or her shopping cart on a tablet and, eventually, make the payment using a phone. So, your job should be of a facilitator of the service that is truly rewarding. Forget, eCommerce and mCommerce synergy, today, even you can make the digital support your brick and mortar retail as well. Remember, proximity payment method or using digital wallets like Apple Pay and Android Pay to pay at a POS. Upfront registration or signup is quite irritating to customers. They are likely to quit your store and take refuge of your competitor. Don’t ask too much upfront information from customers. Let them check whether your eCommerce store has got what they really want to buy from. Have patience, even if they want to compare your products. Once, they have made up their mind to make a purchase, you are sure to get all contact, billing or payment information. Customers will not be hesitant even sharing their likes and dislikes. So, don’t compel shoppers to signup or register in the very beginning. A complicated checkout process is likely to frustrate your customers. In fact, this is one of the major reasons of shopping cart abandonment. Follow the minimalist approach when it comes to designing the checkout process. Aks for essential information only to process their payment and get the product delivered conveniently. Some steps can be curtailed by inducing social authentication. However, they should be taken into confidence as what information the store should access or retain their social profile. Let customers have the control on what information entered during the checkout process, you can store in your database. Aks for their solemn permission. Don’t collect information for the sake of doing, rather make use of it to ease their next shopping attempt or deliver personalized experience to them. Without a visibility on the Internet, it’s of no use to invest in the best eCommerce technology. Most of the eCommerce ventures succumb to failure on account of poor visibility on the web. You might be offering the best products or services and at the best prices, but if they are not visible to your potential customers, the entire effort will go futile. No worries, if you don’t have the best talent of the industry to promote your digital store. Nowadays, you can take advantage of online marketing widgets and tools to get the job done with perfection. SEO marketing and analysis tool like Yoast can assist you with creating search-engine friendly content. Likewise, there are plugins that can help you make your website engaging with user-generated content. With more and more users getting engaged with your digital store via comments, reviews, blogs, etc., the visibility of your website improves automatically. February 22 2019How UX will Take on E-commerce App & Website in 2019?